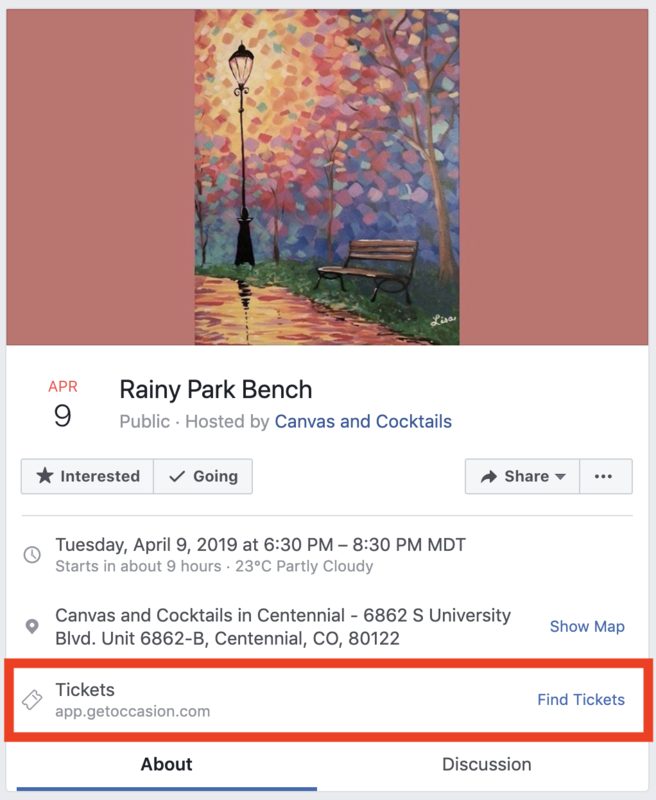 With Occasion's Facebook Events Integration, you can grow your business by allowing your existing and potential customers to book your Occasion events directly from your Facebook page. 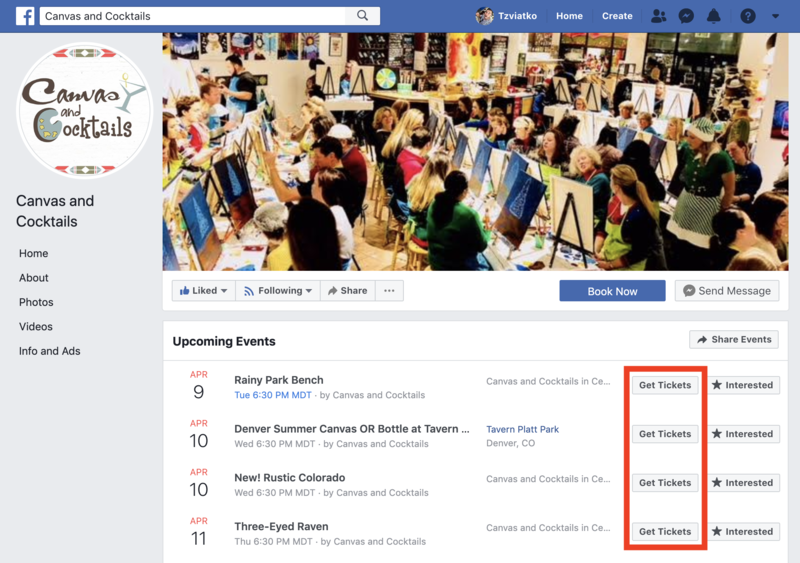 This integration will automatically create events on your Facebook page when you add individual, public events on Occasion. Which events will post to Facebook? Increase conversion by dramatically shortening the path between your customers searching for your business and booking your events. Give your customers an easy way to stay informed of your events by seeing them right in their newsfeed, and allows them to easily indicate their interest. Expand your social reach by getting friends of your customers to see your events too. Save time and effort by having Occasion automatically post your events to your Facebook page. When your customers search for your business on Facebook, they will be able to see your events right on your Facebook page. Customers that already Like your Facebook page, will see your events in their timeline as well. Events must have initial availability of more than 5 people, and must be happening up to 60 days in the future. Events must be marked as "Public" in the listing editor. Learn more about public/private events here. Events, which occur as series (ex: 10 week class), will only be added as one event, for the first date of the series. Events that have a "recurring schedule" will not be added to Facebook. Recurring events are labeled as such on your Backend Calendar. You need to have an active Facebook page for your business. If you don't already have a Facebook Business Manager account please create one first. Select your business page, and choose the "Publish Content" permissions ("Editor" access). 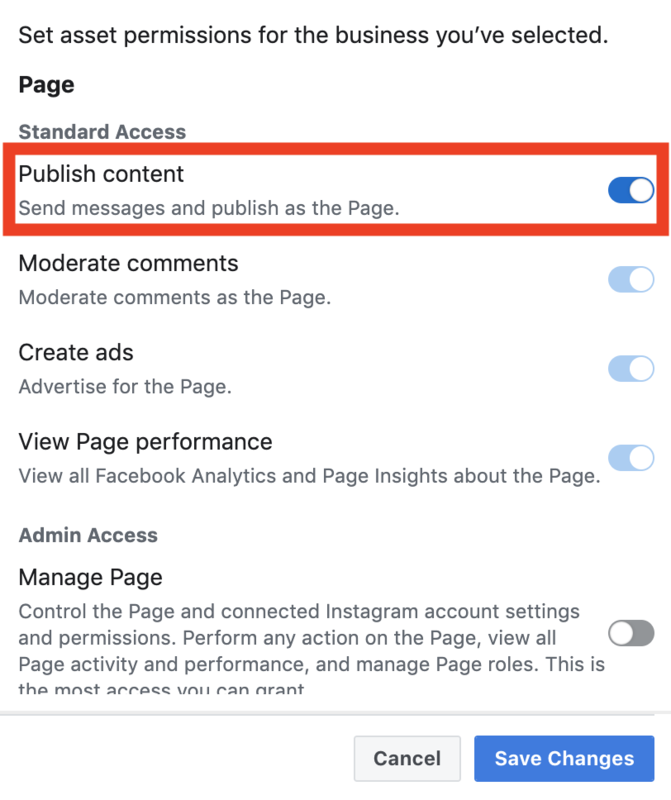 If you don't see your page, or you've just created your Facebook Business Manager account, you might have to add your page first. Please email us at help@getoccasion.com when you've completed the steps above so we can activate the feature for you. Please note: This feature involves a daily batch process, so it may take 24-48 hours from the time you've added a time slot to a qualifying Occasion event, to when it is published on your Facebook page. Q: I activated Facebook Events hours ago and I still don't see my events posted on Facebook. Why is that? A: Posting you Facebook events is a batch process which happens daily. In some rare cases there might be a delay of up to 48 hours from the time you created the time slots for your event on Occasion to the time your event is posted on Facebook. Q: Why is my event not posting on Facebook? 1. Listing has to be marked as "Active" and "Public". 2. Time slots has to be Individual (not recurring). 3. Availability has to be more than 5. 4. The event has to be happening in the next 60 days. If it's happening more than 60 days from now, it will be posted on Facebook when it fits within this threshold. Q: What happens if I make changes to an event in Occasion, that's already been published on Facebook? A: If an event happening sooner than the next 60 days is changed, moved, or deleted from Occasion, you will have to make the change on Facebook yourself. Q: Will my private events be posted to Facebook? A: No. Any events marked as "Private" in the listing editor will not be posted to Facebook. Q: What image will my Facebook event use if I don't have an image as part of my Occasion listing? A: Facebook requires an image for all events on their platform. If you don't have an image with your Occasion listings, your Facebook page cover image will be used as the image for that Facebook event.